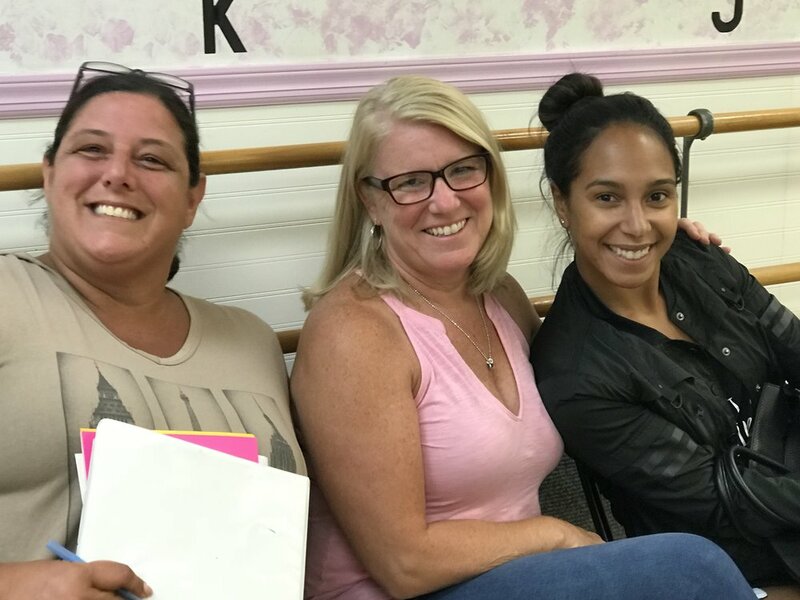 All of our teachers are adults with either dance degrees or certifications from Associated Dance Teachers of NJ or Dance Educators of America. PDC teachers are professionally trained; continue their dance education through classes, seminars and workshops, and are committed to our students. Hedy is active in dance organizations that promote the education of teachers and students. She is President Emeritus of Associated Dance Teachers of NJ and a lifelong member of Dance Educators of America. Hedy is a Regional Representative for National Dance Week. Hedy’s creative and artistic credits include: Choreographer for Macy’s Thanksgiving Day Parade; Founder of Dance Fest 6 Flags Great Adventure; Choreographer for UDMA Costume Show; Founder/Director of the Sun&Dance Festival with Carnival Cruise; Choreographer for PDC in the QVC Christmas Parade and the Annual Cherry Blossom Parade in Washington DC. Hedy has been awarded a Lifetime Achievement Award from St. John Vianney High School in Holmdel. Hedy enjoys networking with fellow dance educators and works to help Studio Owners work smarter, not harder. As DanceLady CEO, she has presented for Rhee Gold’s Project Motivate, The DanceLife Teacher Conference, the Dance Life Retreat Center, Dance Teacher Summit, United Dance Merchants of America, The Pulse, Discount Dance Supplies, Weissman’s Dance and Hollywood Connection Conventions. Hedy is also a contributing writer for Dance Studio Life Magazine. Hedy is proud to be a founding member and on the Board of Advisors of Rhee Gold’s IDEA, the International Dance Entrepreneurs Association. Hedy’s passion still remains working in her non-competitive studio with her students. In addition to producing a high energy and creative year end annual production, Hedy works hard year round to provide great performance opportunities for her students that also benefit the community and her studio. However, Hedy’s greatest passion is reserved for spending quality time with her husband Patrick and their college aged daughter, Liza – her finest production. Liz has been with the PDC for 26 years. She started as a student and performed in many PDC productions. Liz has been teaching on and off for the PDC for 22 years. In her early teaching years, Liz taught primarily Jazz and Tap. The last 10 years her concentration has been on Tap. Liz keeps current with new styles and techniques and loves to challenge her students in a fun, educational way. She attends master classes and workshops in New Jersey and New York. 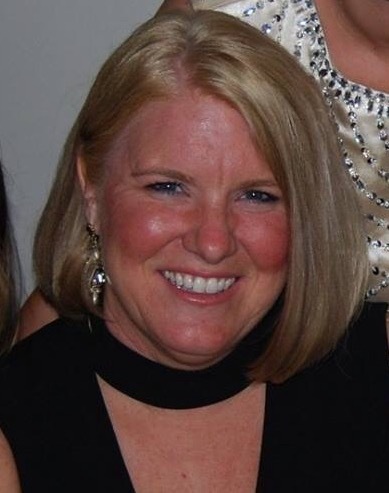 Aside from her love of Dance, Liz is the Director of Recreation for Arnold Walter Nursing and Rehabilitation. She feels truly blessed to work in two different fields, enhancing the lives of the young and old. She loves to travel with her husband Ed, family and friends. Lyndsay Ganz was a student of Perna Dance Center since 1989. Lyndsay was a dance major at Red Bank Regional High School, where she graduated in 2005. At Drexel University, Lyndsay was part of the division 1 dance team. Lyndsay graduated from Rutgers University with degrees in sociology and criminal justice and went on to obtain her Juris Doctorate from Florida Coastal School of Law. 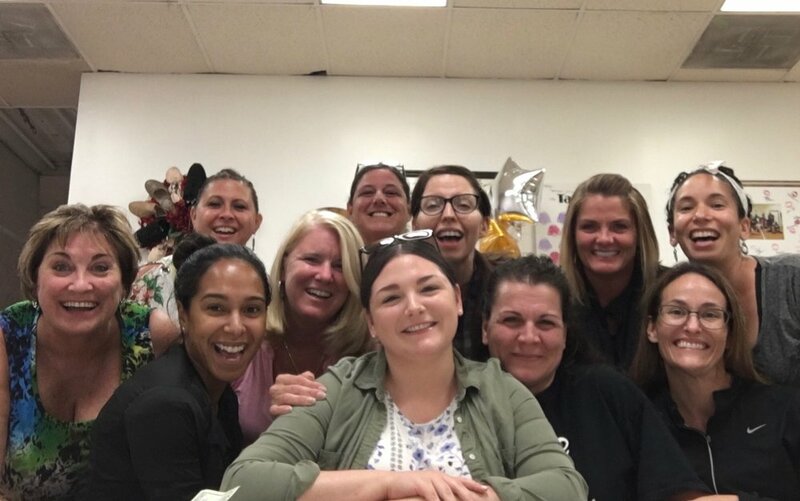 Lyndsay has been teaching at Perna for 8 years. Elaina's passion for dance is apparent in every class she teaches. A New York native, Elaina began her dancing career at the age of 3. From Mambo, Jazz, Lyrical, Contemporary, and gymnastics, Elaina kept herself well-rounded in all aspects of body movement. After moving to New Jersey, Elaina continued to nurture her passion for dance at Red Bank Regional High School of Performing Arts. It was there she was introduced to multiple techniques and genres of dance through choreographers such as Sheila Barker, Al Blackstone, and Jessica Hendricks. Elaina continued to train under them and others at Broadway Dance Center in New York City. She also attended Saint Joseph's University, where she was on the nationally ranked Saint Joseph's Dance Team. Elaina also shares her talents in the fitness industry. She is a NASM certified personal trainer, with specializations in women's fitness and weight loss. When Elaina is not at Perna, she can be found teaching her own dance fitness program, ContempFit, at various gyms and boutique fitness studios in Monmouth County, NJ. Dina has been a member of the Perna Dance Center for 31 years and was Miss Hedy's first student at PDC. She is a member of Associated Dance Teacher's of New Jersey who teaches teaches Ballet, Tap, and Jazz to Tots through Adults. Dina is a lifelong resident of Hazlet, NJ who graduated Raritan High School, class of 1991, and went on to graduate from Brookdale Community College, class of 1994, with her Associates Degree. Dina is also a fantastic Aunt to two nieces, currently the Co-Manager of Avenue in Holmdel, NJ who loves her family and her animals. Jackie is originally from Chatham, NJ, began dancing at age 11. Jackie received her Associate of Fine Arts in Dance from the County College of Morris. She has performed in, and choreographed for the County College of Morris Dance Theater Concert & she received the award for Outstanding Contributions in Dance. Jackie participated in and performed at the American College Dance Festival in Springfield, Massachusetts; The Summer World of Dance Intensive Program at The University of the Arts, Philadelphia; the 2,000 Feet Festival and the American Theater Dance Workshop at Hofstra University. Jackie has attended the Paul Taylor School in NYC, where she was taught by Paul Taylor’s students and performed many of his works. She has performed for AP Motion Dance Company a Modern Dance based company, in Warren. Jackie has directed and choreographed; Annie, High School Musical 1 & 2, Snow White, The Little Mermaid, Sound of Music, Grease, Mary Poppins, Beauty and the Beast & The Lion King, for the Morris School District; Summer Plus Program, for school aged students. Jackie has been a dance educator for over 20 years in Northern, NJ. Schools such as; Garden State Ballet, Harbor Haven; Program for children with special needs, Gotta Dance LLC. Denyse has been part of the Perna family from the beginning. Starting as a student at age 14. After a few years as a student assistant she started teaching at 18. When not at the studio Denyse is busy enjoying being a Mom to her four children Connor, Mason, Rylie, and Ellie with her husband Bob. She is blessed to be able to share her love of dance with so many amazing students. Brooke started at the Perna Dance Center at the age of three in 1999. After graduating in 2014, she kept dancing at Montclair State University where she eventually became Captain of the school's dance company. After only a year away from the PDC, Brooke came back during college to teach at the studio. Brooke has experience teaching all main disciplines of dance and loves what she does. Outside of the studio, she is living in Clifton, NJ and currently finishing up a degree in Early Childhood Education while teaching second grade in Elizabeth, NJ. She is so proud to be a part of the Perna legacy and teach children to love dance the way she always has. She hopes that everyone has a safe, productive, and FUN year at the Perna Dance Center. Miranda Taylor was a student at the Academy of Dance Arts from 1985-1997 and a member of the Company of Dance Arts where she performed as a soloist in the Nutcracker, Celebrate Dance, Snow White, and Beatrix Potter and Other Tails. Upon graduating she attended Mason Gross School of the Arts at Rutgers and received a BFA in dance from Mason Gross in 2001. After college she continued to choreograph for her own company, Miranda Taylor Dance, and has been a teacher at Perna Dance Center since 2001. Sarah Trammell grew up in New Jersey and danced at red bank dance academy. She attended several dance intensives,workshops and conventions during her 29 years dancing. Attended LIU C.W.Post campus as a dance major. Was a part of the C.W.Post dance team, technique hip hop group and the post concert dance company. Sarah has been teaching at the Perna Dance Center for 6 years. BE KIND, WORK HARD, STAY HUMBLE, SMILE OFTEN, KEEP HONEST, TRAVEL WHEN POSSIBLE, NEVER STOP LEARNING, BE THANKFUL ALWAYS, AND LOVE.